living journeys has already reached twice as many poeple in 2018 than in 2017 or any previous year. In 2016 Living Journeys offered 36 free support group meetings to anyone affected by cancer. These meetings served the needs of individuals affected by over 15 different types of cancer. Living Journeys provides financial assistance to help offset the costs of a cancer diagnosis. Assistance includes cash grants, private therapy grants and transportation assistance. There has been a steady increase in the number of requests for assistance since 2012. 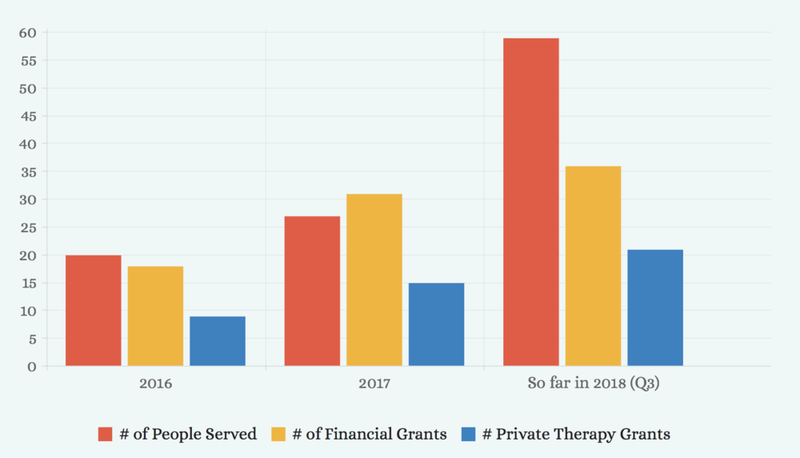 Financial assistance hit a record high in 2016 with over thirty-four (34) grants awarded totaling over $52,000 in financial assistance. 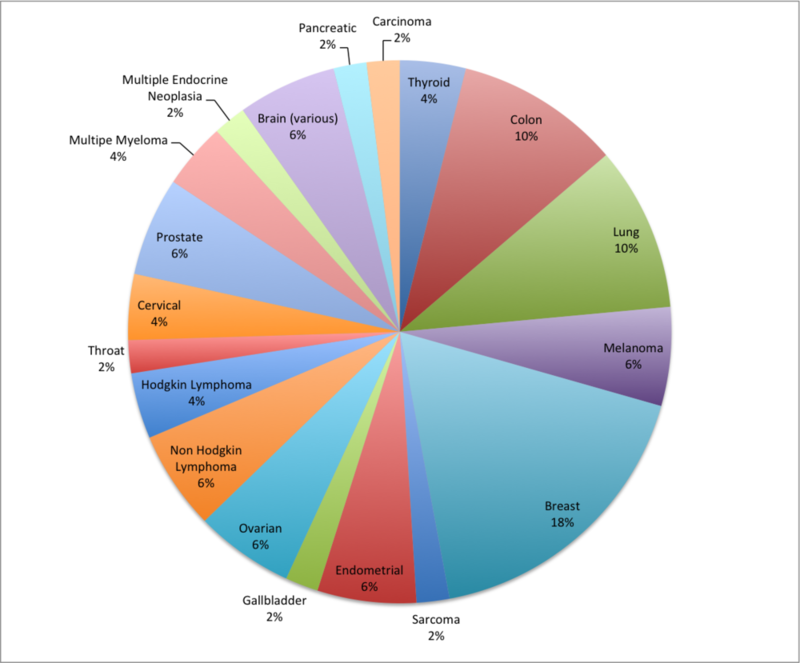 Using data from the Colorado Department of Public Health's Colorado Central Cancer Registry and the Gunnison County Economic Indicators Report, we were able to determine that in 2016 we served approximately 34% of the population affected by cancer. This data also provides estimates for future needs. Living Journeys strives to increase the percentage served each year. Living Journeys financial grants help individuals with all types of cancer including breast cancer. Turn no qualified applicant away who needs financial assistance. Ensure financial assistance grants, private therapy grants and transportation grants are awarded with the capacity to impact the quality of life of families and individuals. Secure funding to maintain an average cash grant at the same value as in 2012 ($4000). 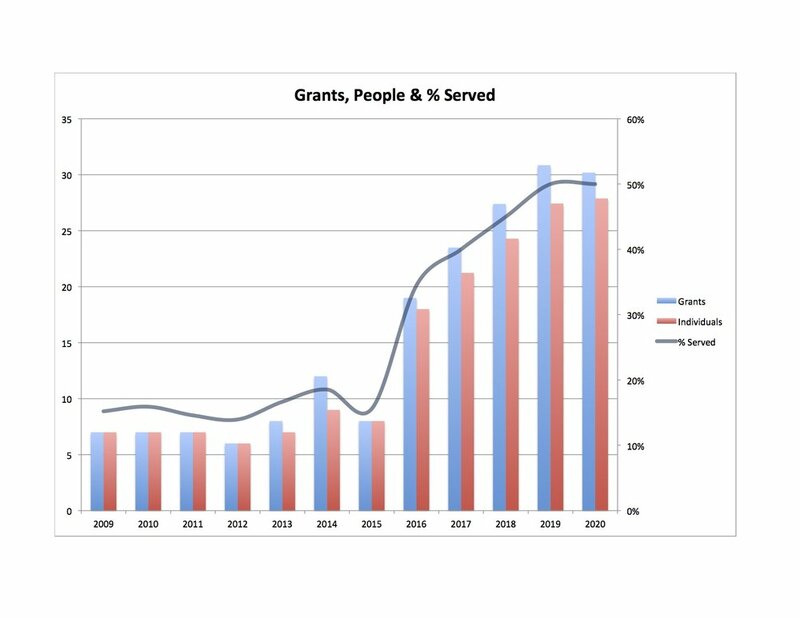 Steady increases in grant requests have caused Living Journeys grant averages to be in steady decline. You can help improve the quality of someone's life by making a donation today!